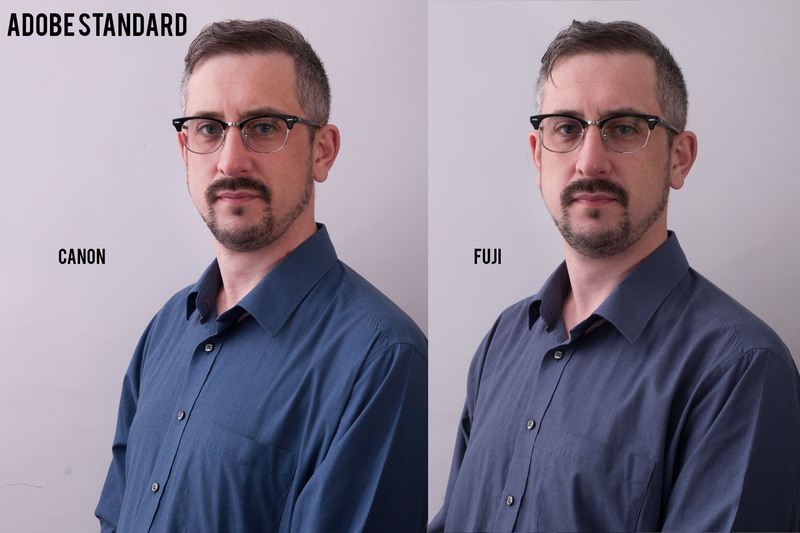 I had previously done a test between the Canon 1Dx and 1DsIII comparing it to the Fuji X-Pro 2. According to the Poll results the 1DsIII won (61 votes/ 45%), the X-Pro 2 came second (46 votes / 34%) and the 1Dx came last (29 votes / 21%). Over time I thought to myself, I wonder how the 1DsIII (known for excellent/faithful colour) would go against the other X-Pro2 profiles (Fuji is also known for excellent colour). Therefore I did this test. NOTE: All are from RAW files and edited in Lightroom using the profiles built into Lightroom. As requested I have included at the bottom of this post a comparison of the two using Adobe Standard. As I talk about HERE I found that there’s little difference between original Fuji Jpegs and Xpro2 RAW files edited in an up-to-date Lightroom. Colour is pretty subjective. However, to me personally I like the Canon 1DsIII – Camera Neutral best (as far as realism is concerned) and Fuji Pro Negative High also. I have trouble choosing between these too. Now adjusted White Balance to match on all. Looks a tad too saturated for portraits for my liking. I do like Provia for general use though. The deep colours make general photos very nice. This gives (to me) the best looks for portraits/realistic skin tones for Fuji. It isn’t too saturated, but the colours are rich. It is also has a nice level of contrast. To me this would be a great profile if you wanted to create your own look. It’s flat and faithful, you could add contrast and colour to suit your tastes. This would make a good starting point for portrait work. However I do think the blues in my shirt look better with Pro Neg Hi. though they looks slightly truer to real life on Pro Neg Standard. This is my least favourite of the Fuji colour profiles. I just don’t like it much. Note, I didn’t put all the different Canon Profiles up on here, I think their Landscape and Portrait Profiles don’t suit portraits. Kind of ironic when it comes to the Portrait profile, but I find it too contrasty and too saturated. The landscape profile suffers for the same reasons, but that profile is supposed to be saturated, so I forgive it. Like Provia on Fuji, Camera standard is good for general photography, but not so great for portraits. Again it’s a bit too saturated for my tastes. With adjusted WB, this is one of my favourite profiles, certainly my favourite Canon profile. I keep jumping from this to Fuji’s Pro Neg Hi for my favourite overall. It’s got faithful colour and isn’t too over the top with saturation. Honestly I’d be happy using either this or Fuji’s Pro Neg Hi for portrait work. Seems to emphasise reds a bit too much for my white skin. I think I’d rather use Camera Standard. NOTE: After I adjusted the white balance to match the Xpro2 settings I found Camera faithful to be a lot better. Still a bit strong in the red, but reducing the magenta channel on the white balance helped a lot. There’s nothing really to conclude other than I like Camera Neutral for Canon and Pro Neg Hi for Fuji. One thing I have discovered is that I don’t think I really need my 1DsIII for portraits so much, Fuji’s Pro Neg Hi is so close to Canon colours here that I think I could safely use Fuji for portrait work. If I wanted truly accurate colours I’d shoot a Macbeth chart and make a custom profile. 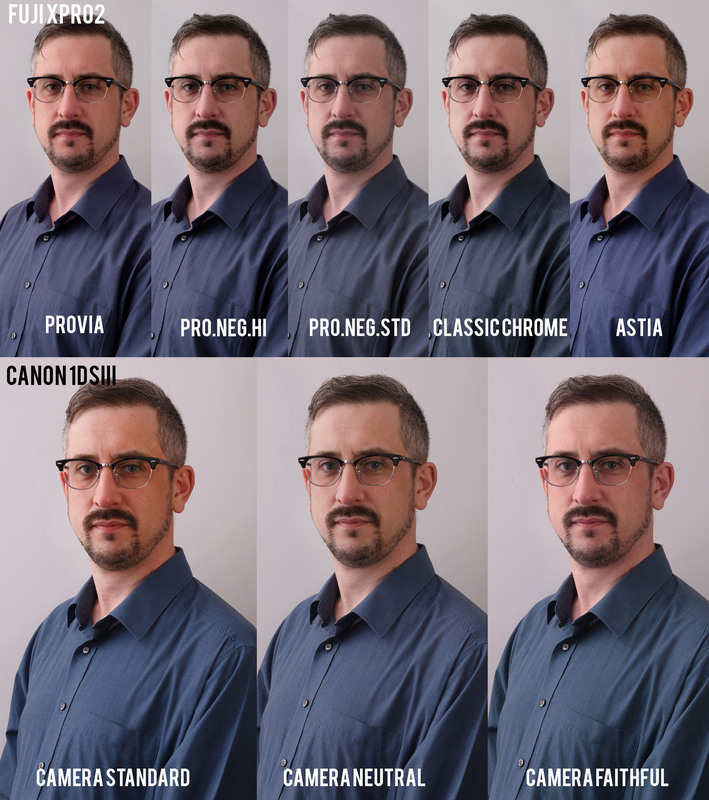 Instead of asking you to choose from Canon/Fuji, I’m going to ask you which one you prefer from the two cameras. It’s all subjective, so there’s no real right/wrong answer here. Fuji is surprisingly well matched to the Canon. how do you pinpoint the white balance? do you make a shot with a grey card before (or at he time of) taking a photograph? Great job Adrian! Thanks for doing this!